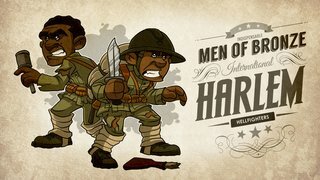 The Heroes of Color series seeks to diversify the classroom curriculum. Each episode will ignite pride, confidence and hope to a generation of young people who are grossly underrepresented and misinformed. This educational series highlights the outstanding achievements of people of color and promote positive representation. David Heredia graduated in 2002 from the School of Visual Arts with a Bachelors Degree in Animation. He also graduated from the New York City College of Technology in 1997 with an AssociatesDegree in Advertising. He has managed a successful freelancing company for over 20 years. His company has created hundreds of educational, animated videos for Pearson Education from 2012-2015. David’s children’s book “Lil Heroes of Color” was recently published by Scholastic and is scheduled to be released in the summer of 2019. He is working on his second multicultural book called “United By Art”, a celebration of the music and art of the nations of the world. He recently formed a non-profit Heroes of Color Inc. formed to empower young people of color by providing cultural and professional development through the arts. Read the full Q&AWriter and Animator David Heredia recalls how a trip to the comic book shop with his son, and a noticeable lack of superheroes of color, served as the inspiration behind "Heroes of Color." PBS: Can you tell us more about the Heroes of Color web series that inspired this? Formerly the National Black Programming Consortium, Black Public Media is focused on a completely realized expression of democracy. Their mission is to support diverse voices by not only developing but distributing innovative media about the Black experience and investing in visionary contentcreators.